South Africa has numerous truly magnificent golf courses that offer stiff competition to some of the best in the world. Challenging and exciting rounds of golf are complimented by fabulous natural scenery that ranges from sand dunes and cliff faces to tropical flowers, mountains, and lakes. Thousands of avid golfers arrive in the country each year to take up the challenges and enjoy the beauty. Here are some of the most loved and scenic golf courses in South Africa. 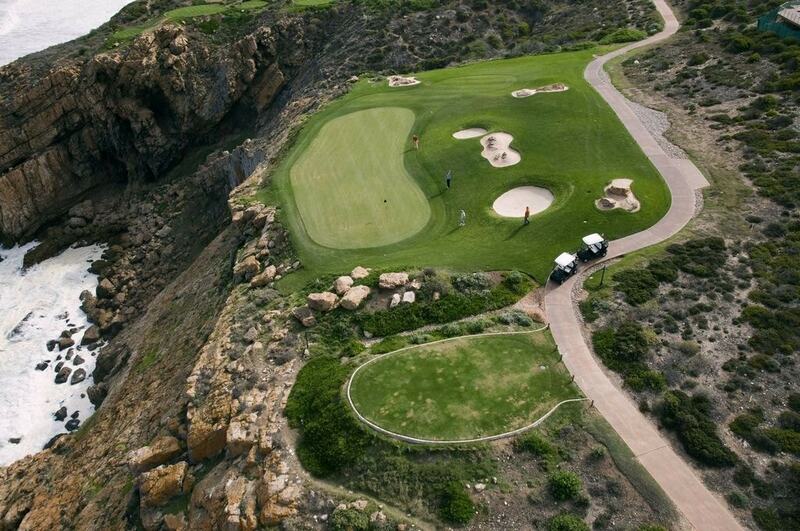 This relatively new entry to the golfing scene was voted the best new course in South Africa in 2007. Nestled between sand dunes and adjacent to the quaint village of St Francis Bay, the course was designed by Jack Nicklaus and combines old golfing traditions with a relaxed and natural environment. While the fairways are gorgeous, the rough is unforgiving and often swallows up balls that are never to be seen again. Its layout combines every element of shotmaking with an undulating terrain, greens and surrounds. However, it is the bunkering that is the signature element of the course. This absolutely gorgeous course has been rated among the best in South Africa and offers panoramic views of the nearby Indian Ocean. The course provides a thoroughly enjoyable round of golf atop the imposing Knysna Heads, although the wind can make things tricky. Without question, the signature hole is the short par 4 14th that tempts big hitters to land on the green. Those that make it are rewarded, but those that don’t may find themselves ending up well over par. 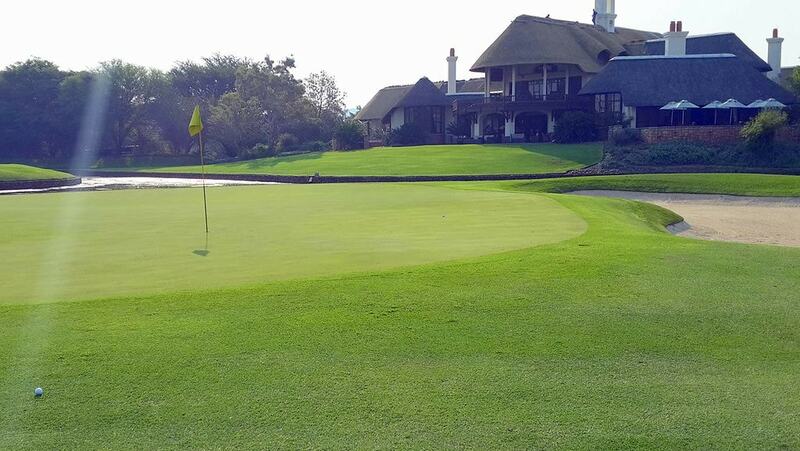 This exquisite golf club holds an esteemed history and is possibly one of the most stately in South Africa. There are two courses to choose from. The west course offers sweeping fairways and large greens that are pleasurable for any golfer to play. The east course boasts a championship layout and has hosted seven South African Open championships. 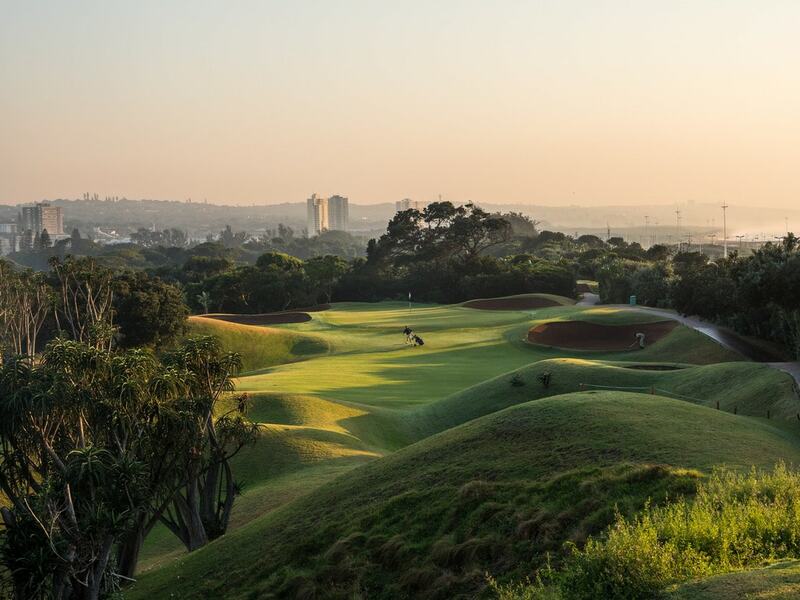 The Durban Country Club is the only golf course in Africa to have been rated as one of the top 100 golf courses in the world. Undulating fairways are its most distinctive characteristic and offer a varied and sometimes challenging round of golf. Its lush, tropical vegetation is offset beautifully against sand dunes and overlooks the Blue Lagoon estuary and the Indian Ocean. It is touted as a shotmakers course with golfers said not to touch their drivers until well into the round, due to the narrowness of the opening holes. 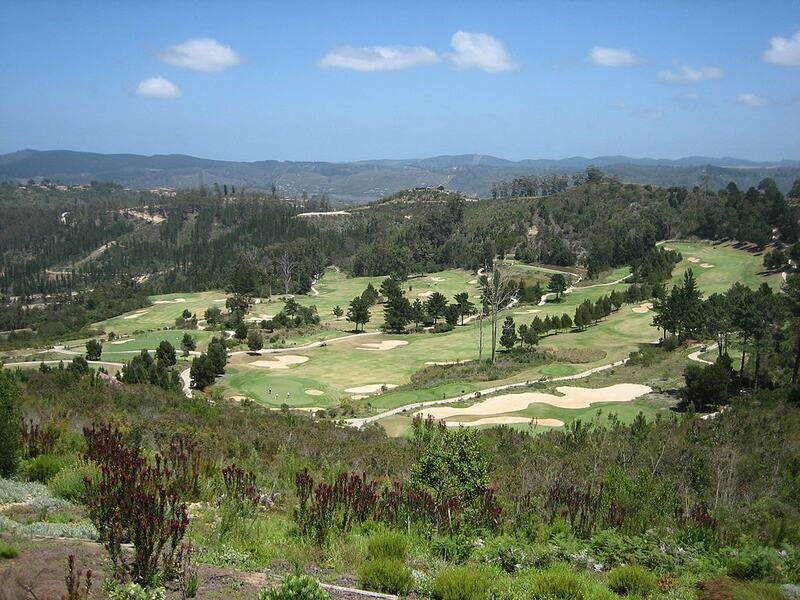 Scenic and meandering Simola is a residential golf estate that is situated just outside of Knysna in the Western Cape. It offers awe inspiring views of the glittering Knysna lagoon and was designed by golfing great Jack Nicklaus. It is an excellent option on windy days as it is set back in the hills and does not suffer from the whipping gales that can lash other coastal courses. Pinnacle Point is arguably the most scenically stunning links course in South Africa, perched on the cliffs high above the Indian Ocean. Its spectacular natural beauty is all encompassing and there are few courses the world over that can match its majesty. Each hole is an adventure as new sights unfold and on windy days the action picks up as balls get swept off the cliffs and plunge into the ocean below. 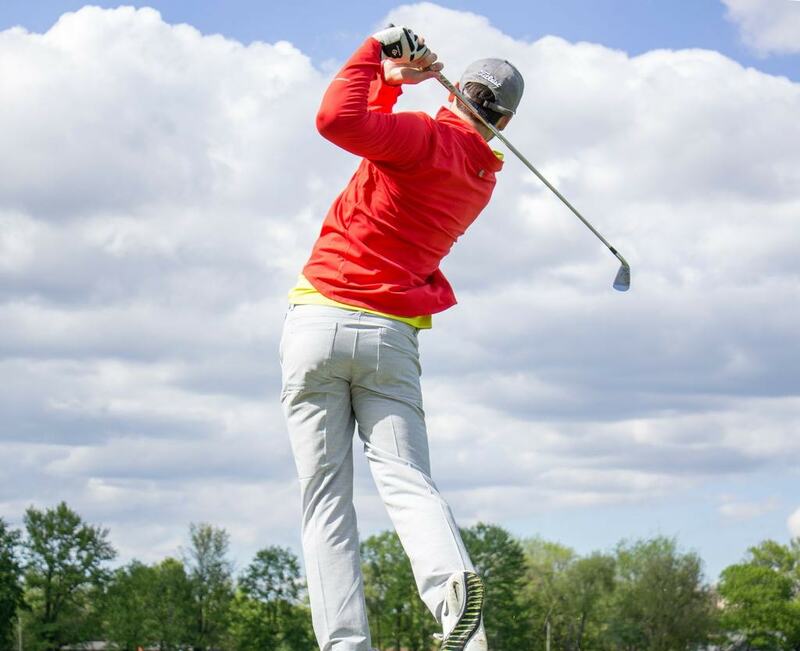 Stepping out onto the course on a windy day will cost you golf balls, so be sure to have a sufficient number of them. This inspiring course holds many accolades and awards and is located on the picturesque Val de Vie Estate in Paarl. The 4th and the 13th are both considered signature holes where golfers can become distracted by the panoramic views of the nearby mountains and lake. Those that hope to make par should keep their eyes on the ball as the 4th is often regarded as one of the best par 5’s in South Africa. Here, the rules of risk and reward apply. This well-loved 18-hole (par 72) championship course was designed and built in 1999 by acclaimed South African golf course architect Peter Matkovich, and challenges golfers with its numerous water hazards and cleverly placed bunkers. The peaceful course is flanked by indigenous fynbos, with views of the Kogelberg mountains on the horizon and the Bot River Lagoon at its feet. If the golfing goes south, then retreat to the Arabella Hotel and Spa for a well earned break. This course has been rated as the top golf course in South Africa. It is flanked by the gorgeous Crocodile River and rubs shoulders with the Kruger National Park, making grazing hippos on the fairway a real possibility. The surrounds are pristine and peaceful, giving one a real sense of being in wild Africa, while views from the 16th hole are breath-taking. This 72-hole course simply cannot be missed, but watch out for crocodiles basking alongside the water hazards. 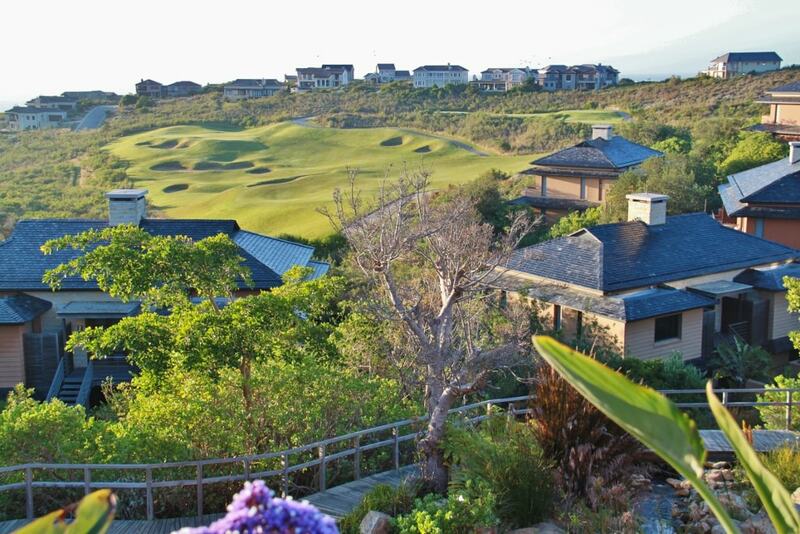 The lush and verdant Fancourt is located along the Garden Route, close to the town of George. Its scenic surrounds are as beautiful as its fairways, and its greens draw from the creativeness of the classic links courses in Scotland and Ireland. The result is a highly enjoyable par 70 course that should have every golfer wanting to go back for more. Fancourt was designed by golfing great Gary Player who describes the course as perhaps his ‘greatest achievement as a golf designer’. Named after one of South Africa’s most famous golfers, the Gary Player Country Club was the first course in the country to offer multiple tees, ensuring players of all levels could enjoy the beauty of the course. It has a relatively flat gradient that can mislead some into a sense of ease, but well placed bunkers and water hazards will test even a professional’s skills. The course is located in the fabulous Sun City Resort that offers a myriad of entertainment options for both adults and children.